Over the years there have been many adaptations of Jane Austen’s classic from Laurence Olivier and Greer Garson’s 1940 epic to 2013’s projected Pride and Prejudice and Zombies. 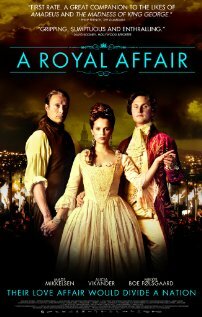 In this session we will explore the idea of costume drama via Andrew Davies’ BBC series (including Colin Firth’s shirt…) and its links with Bridget Jones’ Diary as well as the Joe Wright 2005 film version starring Keira Knightley as Lizzie Bennett and Gurinder Chada’s Bollywood extravaganza Bride and Prejudice. To link in with our extra film in March About Elly, this session will focus on critical debates around women and gender politics in the Middle East These are increasingly stimulating and in the context of film this is particularly due to the expanding interaction between scholars, critics and film makers from Western perspectives and from within Middle Eastern countries. This session will look at a variety of women’s films including the first Palestinian film to focus on sexual abuse ‘Duma‘ (Haddad, 2011); Saudi Arabian director Al Mansour’s ‘Wadja‘ (2012); and, Turkish/Canadian director Kaftan’s 2005 bio-documentary on ‘honour crimes’ ‘Vendetta Song‘. An exploration of the home front genre and how the British film industry responded to the Second World War in relation to the challenges faced by the men, women and children of Britain. Seminal films were created under the directives of the Ministry of Information and there will be clips from Passport to Pimlico, Went the Day Well, A Canterbury Tale, Brief Encounter, A Matter of Life and Death, Henry V, Green for Danger, Millions Like Us and many more, as well as some fascinating documentary material. 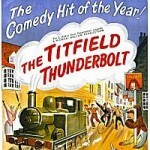 Our extra film in January was The Titfield Thunderbolt, one of the classic comedies for which Ealing Studios became so well known. As well as these wonderful comedies, this session will look at the wider range of films produced by these studios such as It Never Rains on Sunday, Pool of London, The Blue Lamp etc and consider the influence of the long-serving head of the studio, the late, great Michael Balcon who was instrumental in creating a strong identity for British cinema in the 1940s and 50s. Comedy was a key element in the new-fangled world of the moving pictures. 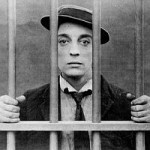 This session will consider why it was so important by looking at the very early days of comedy and the idea of cinema of attraction before turning to the classic comedians such as Charlie Chaplin and Buster Keaton, Oliver Hardy in a rare role as a romantic lead, Harold Lloyd and classic Laurel and Hardy. The era of Soviet Cinema saw an initial, heady rush of experimentalism with cinematic form, leading to international acclaim for the key directors such as Sergei Eisenstein and Vsevelod Pudovkin. In this period, the documentary film also made great developmental strides under Esfir Shub and Dziga Vertov. The Stalinist period and beyond became dangerous times for the filmmaker, leading to arresting works that are both diverse and yet characteristic of their context, ranging from the dynamic brilliance of Mikhail Kalatozov’s The Cranes are Flying to Andrei Tarkovsky’s meditations on faith and humanity. In 2012 Hitchcock’s Vertigo knocked Citizen Kane off the No.1 spot it had held in Sight and Sound’s Critics Poll for fifty years. Why is this 1958 film so important? In this session we will look at the themes of obsession, doubling, construction and destruction which are so central to this iconic film as well as the music and innovative film-making techniques which have made it such a classic with an enduring influence on so many film-makers, in particular cult director David Lynch. In the aftermath of the Second World War, when a thriving British Film Industry looked across the pond to export its prestige films, and audiences, tired of austerity, longed for colourful spectacle, Michael Powell and Emeric Pressburger turned their attention to Technicolor and melodrama with women as their central subjects. 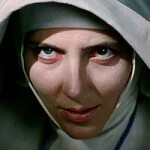 In Black Narcissus (1947) they transported their audiences to the lush Himalayas via Alfred Junge’s masterly studio sets, while The Red Shoes (1948) exotic Monte Carlo and modernist sets from Hein Heckroth created a ballet film that to this day, directors such as Martin Scorcese wish they had made. Join Trish Sheil, Film Education Officer for the Cambridgeshire Film Consortium, in this presentation on Powell and Pressburger post war films. We all remember Audrey Hepburn in that black dress even if we don’t remember the story of Breakfast at Tiffany’s and even if you don’t like action adventure, Harrison Ford’s “Indy” outfit is instantly recognisable. In the first part of this session we will look at the iconic costumes and talented designers involved in this rather unsung section of the movie industry followed by a case study of three different versions of Romeo and Juliet to see how costumes are used symbolically and as “quotes”. The Weimar Cinema of an angst-ridden Germany between the wars has strongly influenced both European and Hollywood directors with its strong aesthetic. Many German technicians and directors, such as Murnau, moved to Hollywood in order to escape the uncertainty of the Weimar Republic. An examination of Bob Fosse’s Weimar influenced 1972 film Cabaret and an exploration of key films such as Fritz Lang’s M, von Sternberg’s Blue Angel, Wiene’s The Cabinet of Dr Caligari and Pabst’s Pandora’s Box as well as Murnau’s transitional 1926 film Sunrise : A Song for Two Humans will give us the opportunity to enter into a world of decadence and innovation that has rarely been paralleled. In a decade of massive social change, British cinema looked to the young for inspiration. The confident A Hard Day’s Night snuck a highly experimental film into the mainstream while Blow Up and Alfie suggested that there were darker forces behind the ‘swinging’ image. The clashes of 1968 synchronised perfectly with Lindsay Anderson’s if…. which took a wholly different look at youth revolution.